A sultry, hot, August weekend was in store for us as we hosted the EODWF/Courage Beyond Gold Star Spouse Retreat tucked away in the beautiful mountains of East Tennessee. 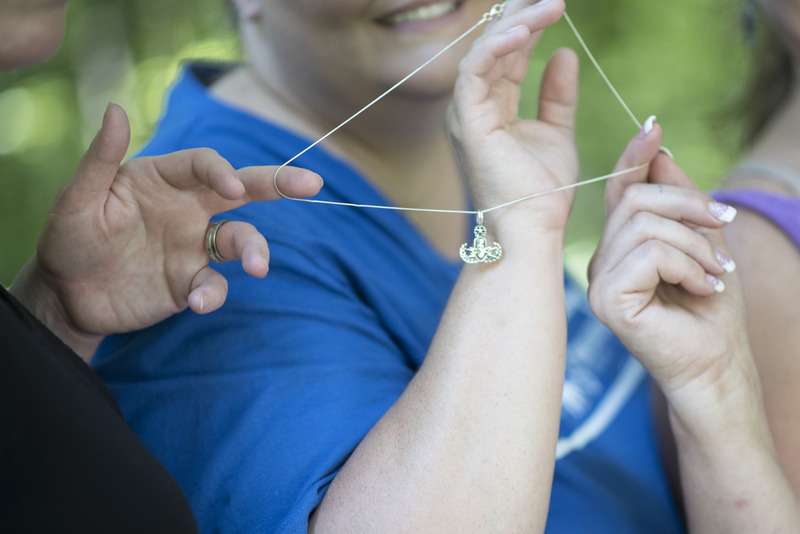 We had the honor and privilege of providing a holistic and healing retreat to six EOD Gold Star Spouses. 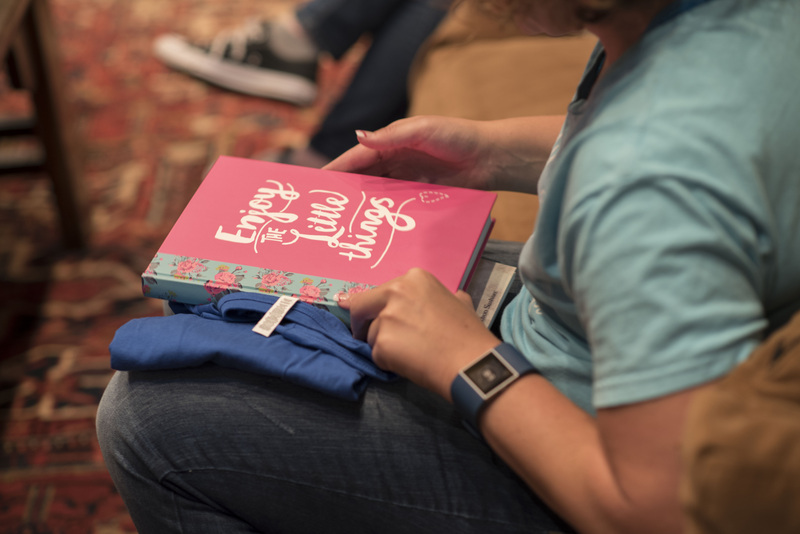 These ladies came from all over the United States to join together, share their stories and connect with others who relate to their lives as a Gold Star Spouse. The time that has passed since losing their warriors was different, but the truth is, it didn’t matter, they are connected. This retreat was an opportunity for them to consider many things, to take a step that may feel scary or awkward. No judgment here, only laughter, tears, funny stories, sad ones too and moments of silence. A space to honor their EOD warriors and allow themselves grace to be angry, frustrated, at peace and with hope of finding joy again. We remember. As a proud EOD veteran, community leader, and family man, I often reflect on the hardships endured that presented growth in me; more so, focusing on the strengths, determination, and resiliency learned through military service. I see so many families struggling with life “beyond the bomb,” and my empathetic nature rises. I've been there and almost didn't make it out. Some of the hardest battles my family and I fought, were not in combat. 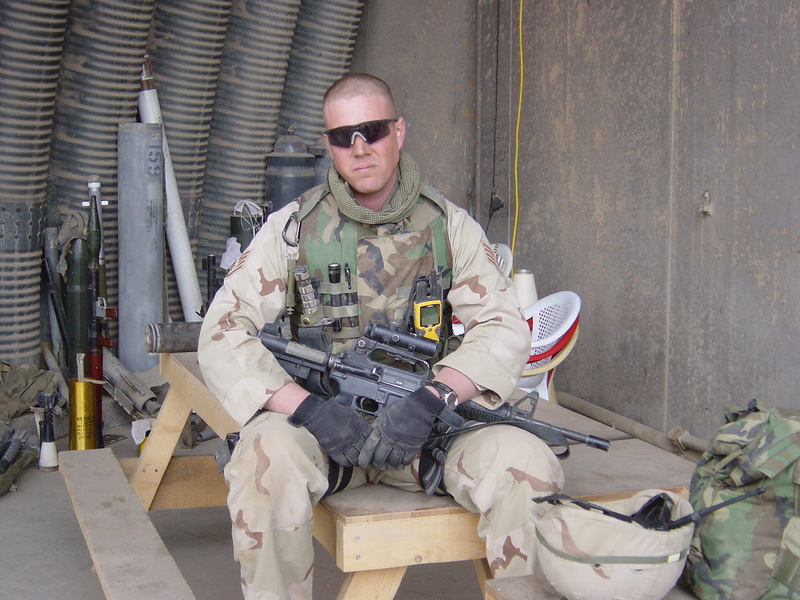 I served fourteen years before physical and mental injuries caught up with me, after seven years of back to back deployments. Combat tempos tipped my stability like a series of storms that I never took time to recover from. I was physically hurt, sleepless, and irritable. My spiritual sense was reset by war and I filled the voids with more temp duty in the Middle East, Africa, Europe, and the White House. I was not willing to slow down and focus on the erosion of my emotional stability, nor my diminishing family life. This was not by design nor intent. When a person loses pieces of their identity and moral fiber in chaos, they tend to find comfort in chaos. Begrudgingly accepting a medical retirement, I searched for value and purpose. Dysfunction resulted in a “typical military divorce.” I put every effort into school, replacing the chaos of combat with another objective to avoid pain of processing the turbulence. Pinning my interests to scholarly perspectives of social and criminal justice, I succeeded. But my social perspectives failed and the residual, ignored combat trauma symptoms festered along with physical issues. I was a fish out of water and the seas I sought were turbulent life. I created chaos to feel some form of control. I drank to quiet the memories and isolated to keep from the embarrassment of feeling broken. The booze worked at first. It seemed to turn down the volume and instill a false sense of sleep. As I zombied on, the drink only made the memories and nightmares extremely angry. The self-medication with alcohol had to stop, if only to gather my bearings and learn to navigate within the confusing discomfort of civilian life. The impact of my erratic behavior and fear resulted in agitation and anger. Nightmares and flashbacks were still prevalent. The results of misinterpreted civil conduct incurred arrests, multiple trips to psychiatric facilities, a voided trust among friends and family, and my security clearance being destroyed. Veteran Administration (VA) interventions only made it worse, over-medicating me to dysfunction. Often times, the mental health community only treated symptoms and I felt more broken and distrusting than ever. An honest self-evaluation at that time revealed so much fear and anger about my place in this foreign civilian social atmosphere. Why the heck was I not fitting in and did I want to...did I have to? I found something very profound in life--I was not alone! My family's struggles were not an anomaly and best yet, others had made it through with success. True understanding is found in others that have endured similar circumstances. The dignity and honor I gave up with my uniform were not lost. Every veteran and family member has a unique set of core values that can drive any circumstance to greatness and overcome most any obstacle. We have to learn to utilize those tenants within the civilian realm. My family and I adopted a wellness plan. I kept track of the successes and the failures and started developing practical After Action Reports (AARs) that resulted in a unique book, “Veteran Field Manual: Civilian Life 1-1” (2016). The intent was to highlight what worked, while giving value to each individual struggle. There are so many ways to find purpose and empower each other to meet healthy objectives. The book is an extension of my commitment to fellow service members and veterans. There is no set model for developing a wellness plan for life after the military. But there is one cohesive element that should not be overlooked. 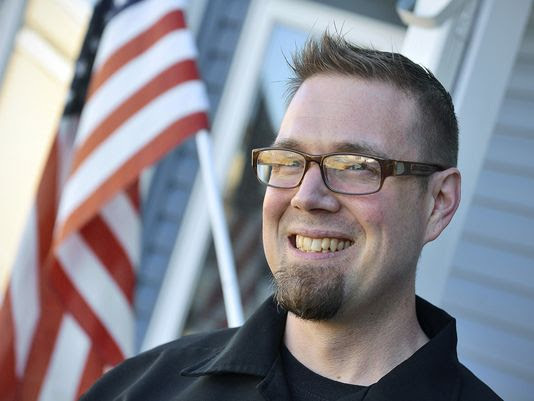 The most valued elements in my support network are veterans, service persons, and their families. The military culture makes up the most diverse minority in the world. We train together and succeed together. There is no therapeutic model that can support success like peers and mentoring... you and me, same team, same struggles, same fight, same success. My family was blessed to attend a week long retreat catering to the strength of the EOD support community. 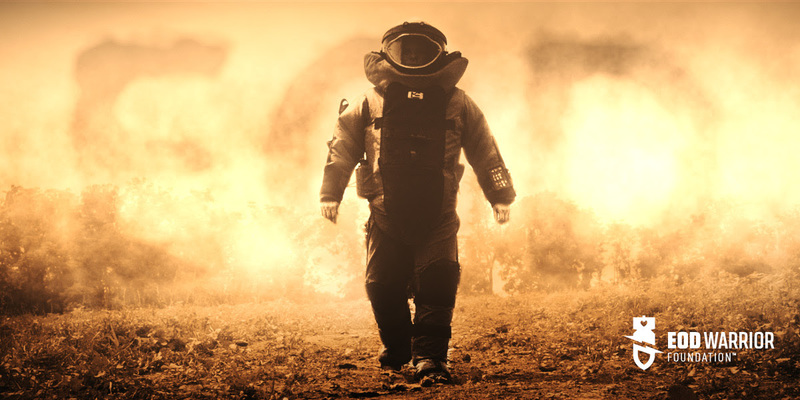 I heard about the retreat through a fellow EOD brother. Held in the brushy mountains of North Carolina, we met and walked through a journey of military core values tuned into real life and family needs. The EOD Warrior Foundation offered this retreat, at no expense, to my family, and nine other families, this past May. 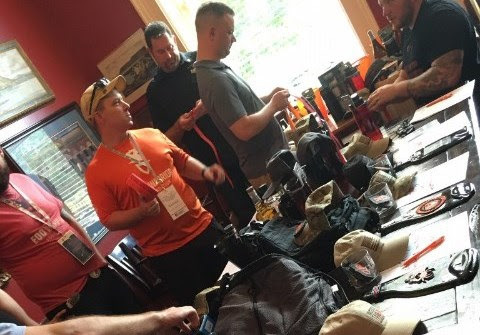 Because of the EODWF, we were offered an opportunity to reconnect in the aftermath of post combat life with other like minded families. EODWF is a premier example of this community’s continuing service to one another. I endorse and encourage others to utilize the opportunities of this foundation. My family and I found strength and unconditional love being a part of something that grows with each generation of badge wearers. We earn our scars and injuries, and honest attempts to heal are fortified by the EOD Warrior Foundation. They provide real resources, that help us to heal while preserving our community’s virtue. We all came home. We mourn those who arrived under a flag, but we honor our culture by tending to all of those who still search for “home.” Even those standing on it, sometimes with prosthetic limbs. We find peace and stability that resides within our commitment to one another. Whether it is discussing concerns over coffee or accompanying one another on a trip, a phone call, or writing a book, I urge you all, stay connected, reach out to the EOD Warrior Foundation for support, and remain a viable member of your team...we need you. We are our own greatest asset and veterans are never alone! 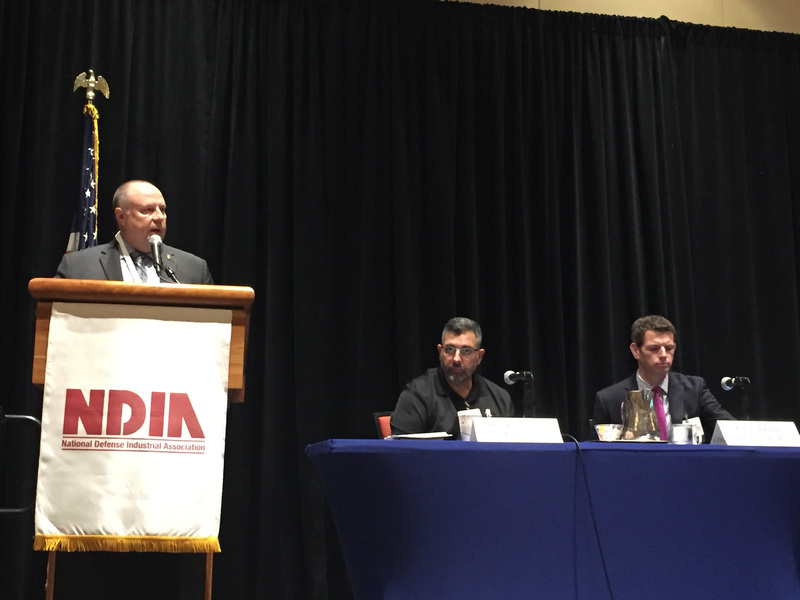 The Global EOD Symposium & Exhibition (GESE), produced by NDIA in partnership with the EOD Warrior Foundation was held at the Bethesda Marriott Hotel and Conference Center August 2-3, 2016. The theme was “Full Spectrum Protection and Response” with a focus on Counter IED, Counter UXO and Combating WMD. There were over 50 companies exhibiting with 300 attendees. 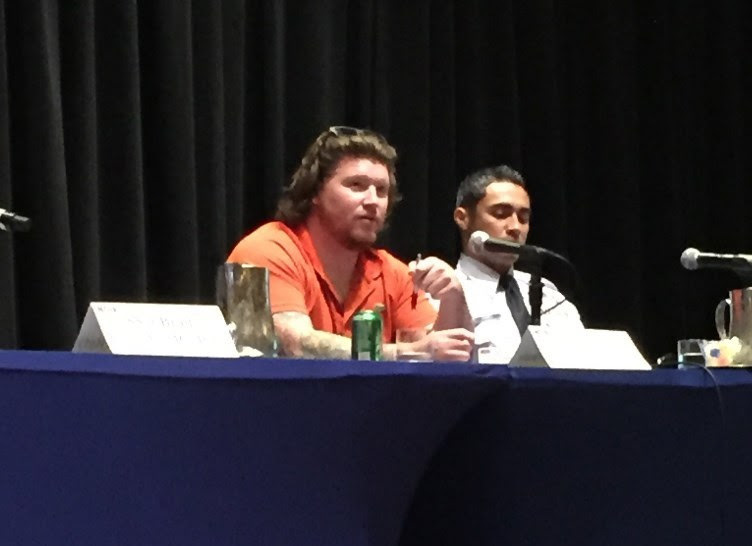 EOD wounded warriors participated to share their personal stories of recovery and resilience first-hand in a unique panel setting. 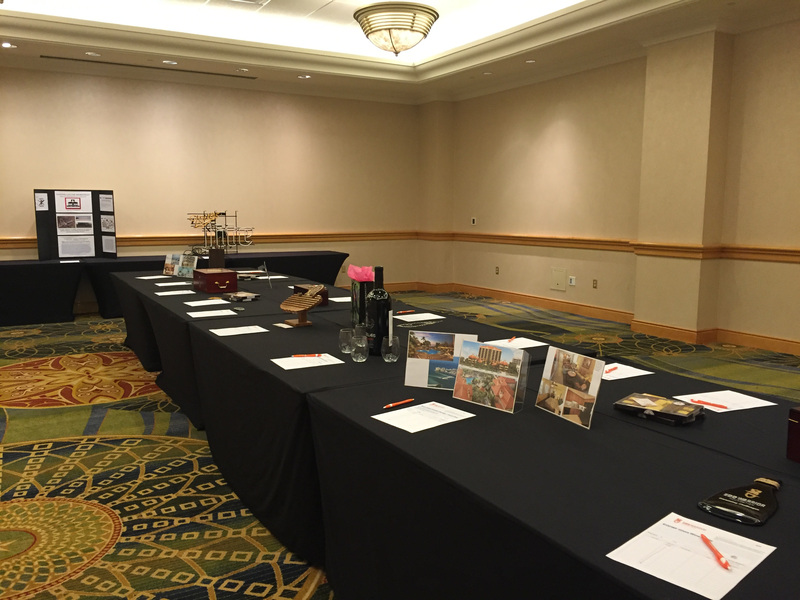 A silent auction was held during the symposium, raising almost $3,000 with all the proceeds benefitting the EODWF. Interagency participation included ATF, FBI and the DHS Office of Bombing Prevention as well as many of our global partners including Israel and theUnited Kingdom. This year we also proudly recognized the 75th anniversary of the EOD community (1941-2016) and hosted EOD veterans of past conflicts to include Vietnam, Korea and the Gulf War as we honor their service. Now permanently relocated to the DC area, the GESE had a successful 7th year. 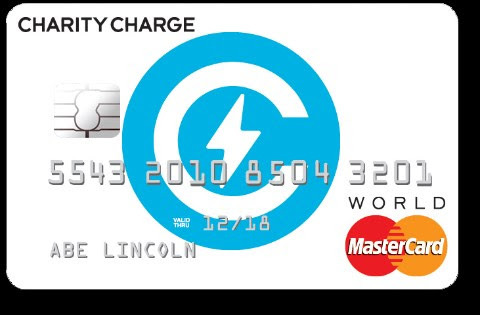 We’re excited to announce that our friends at CharityCharge launched a credit card that earns cash back on every purchase for a charity of your choice. This means you can donate to the EOD Warrior Foundation every time you use your card! 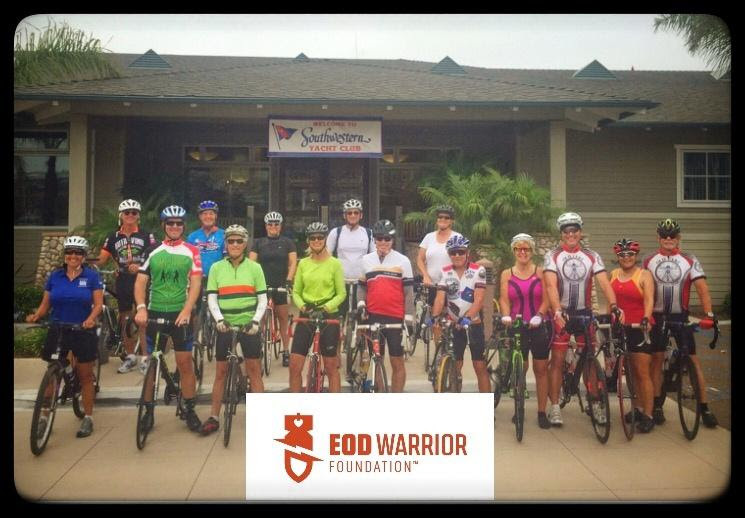 Go tohttp://bit.ly/CC_FBADs to sign up, and choose EOD Warrior Foundation from the list of nonprofits. Thank you for your support! A day of EOD family, friends, fun and sun was enjoyed at our most recent EOD Family Day, held at the beautiful Bonita Bay Outdoor recreation center on Tyndall Air Force Base in Florida. Kayaks, paddleboards, corn hole games and volleyball were the activities offered, with good ole hamburgers, hot dogs, side dishes and cold drinks to share. It was a gathering of approximately 40 EOD warriors and their families. It was wonderful to witness these EOD families enjoying the many activities together. The EOD Warrior Foundation team enjoys hosting family events and we will continue reaching out in areas that are home to many EOD families. 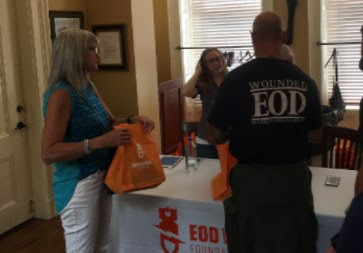 These events give us a chance to connect with EOD families and to say thank you for your service and your support of the EODWF! On July 17, 2016 the Southwestern Yacht Club hosted a Fundraiser for the EODWF. A bike ride that took the participants around San Diego Bay, thank you to organizer Ryan Hunter and all those who came out to support the EODWF. 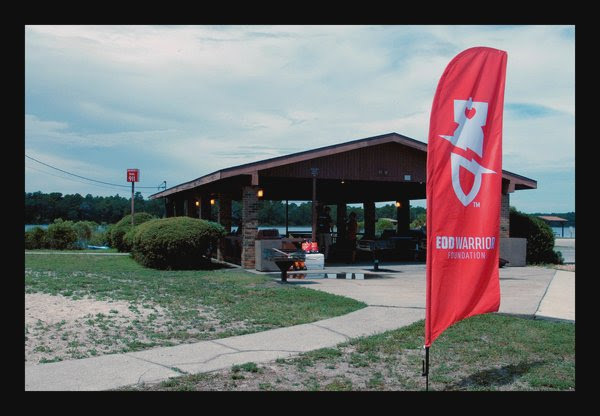 In August, the EODWF partnered with Wake for Warriors, a non-profit organization that focuses on therapy through recreational water sports, to provide a retreat to eight deserving EOD couples. This retreat was held at Lake Lanier in GA and provided a chance for re-connection through the use of water sports such as wake surfing, wakeboarding and boating. CA$H 4 CRAB$ was a new fundraising event in Portland, OR on June 4th hosted for the EODWF by Ambassador Steve Bronson and ORANG 142nd EOD Flight Wing. This event brought together Active Duty troops, National Guard, as well as prior service and retired EOD techs, local Bomb Squads, Federal Law Enforcement, family members and the members of the Portland community. We are thankful to have the support of several local radio stations that helped to promote the event. Our friend Chris Adams provided CA$H 4 CRAB$ coins, which were presold to offset travel and hotel accommodations for our special guests, SSGT Brad Lang, EOD USMC Retired and his family, who traveled from North Carolina to participate. The highlight of the evening came when Brad and his wife Alyssa, shared their story. 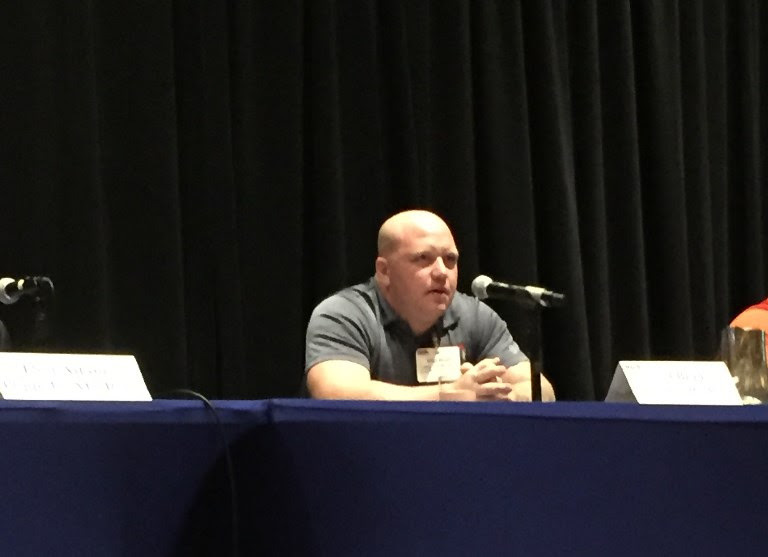 He recounted the months of recovery after he was injured in Afghanistan, losing both legs, and expressed the many ways the EODWF was there supporting their family every step of the way. 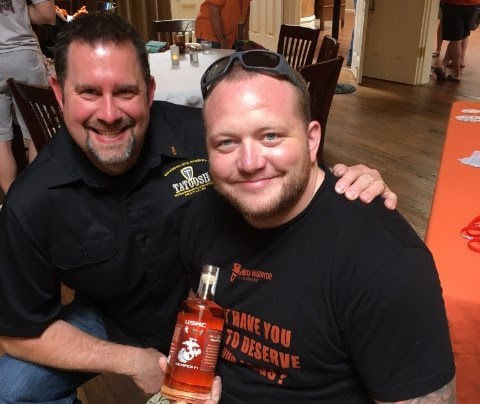 Sponsors Tattoosh, Ye Ole Grog and 4 Spirits distilleries provided tastings of their spirits and also generously donated to the raffles and auction. 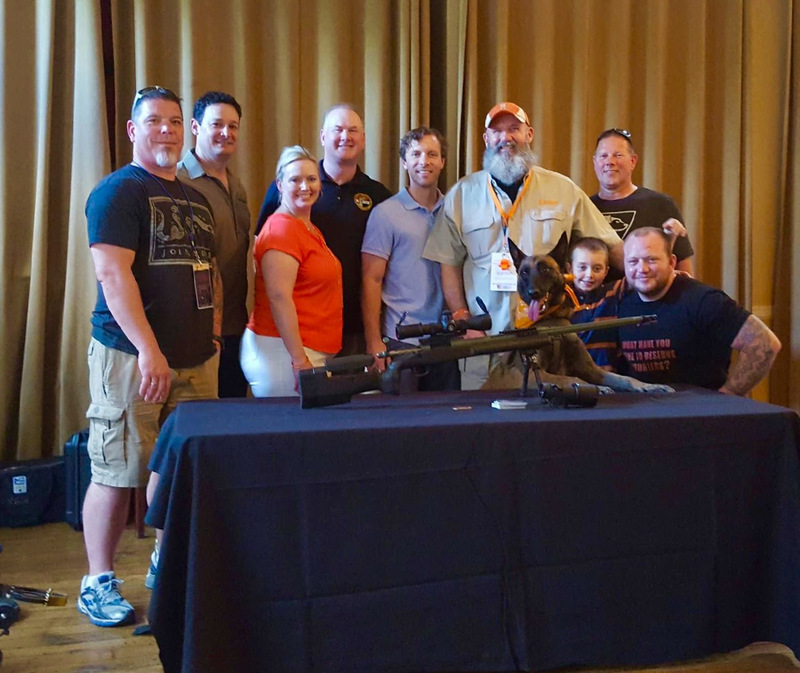 Finally, our friends from the Federal Law Enforcement Officers Association and Benchmade Knife Company capped the evening with a group photo including SSGT Brad Lang, his son David and K9 S/A Diego, with his custom rifle "The Dude". This event raised $5000 for the EODWF. We hope to see you at the next event!